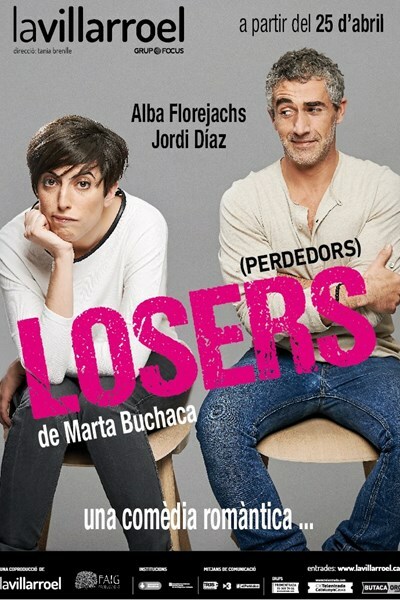 Losers is a romantic comedy. She’s called Sandra, still single, almost forty; as lost as when she was fifteen, looking desperately for love. Looks for it everywhere, even in the Internet, where she only finds losers. He, Manel, is a shop assistant in a phone store, more than forty, just dumped by his girlfriend who left with a Colombian telephone operator. Sandra goes to the shop to cancel the line of her dead mother and, what starts as a boring procedure, ends up being the most important day of her life. A romantic comedy normally finishes with the main characters kissing, but Losers goes further: what happens next? Falling in love is fantastic but everyday routines are a bit less ideal. Sandra and her seller will have to cope with one and other’s peculiarities, which aren’t few. That’s how the comedy is served.